← Quirky Quintessential Englishness at its’ Best! The staff and children at Rudgwick Primary School are very excited by the recent opening of their new outdoor classroom, which was built using money raised by the school PTA. With the first signs of spring peeping through the decomposing autumn leaves the school are busy planning to make full use of this wonderful space. 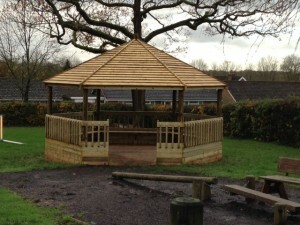 The children are extremely lucky to have extensive school grounds including a small woodland area where Forest Schools sessions are run weekly. Forest Schools provide a long term holistic learning process that aims to raise self awareness and self esteem in participants. This woodland environment adds to the experience of learning, offering different opportunities for child led learning and play. The school are also planning to offer a new after school club in the Summer term, Pedro’s Green Club. 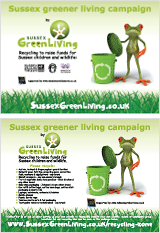 This is delivered by Carrie from Sussex Green Living and aims to help grow a new generation of green champions, in fun and hands on sessions the children will learn about environmental protection, biodiversity, recycling, upcycling, healthy eating and growing. Learn more here. 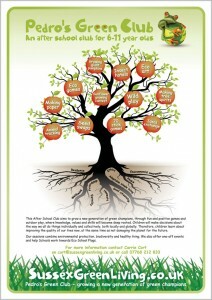 This entry was posted in Eco School Rudgwick, Eco School Sussex blogs, Green stats, facts & news. Bookmark the permalink.